It’s Valentine’s month and although the roses may already be wilted and the chocolates all gobbled up, we think now is the perfect time to capture the Valentine’s mood of romance and sprinkle it all over your love nest for you and your loved one to enjoy all year long! When creating a romantic space or atmosphere make sure you get creative with lighting. Soft lighting sets the perfect mood but you don’t need expensive chandeliers or dimmer switches, make the most of your budget and improvise with string lights, candles etc. Romance is all about the senses and stimulating the sense of touch is vital in creating a romantic space that looks and feels great. 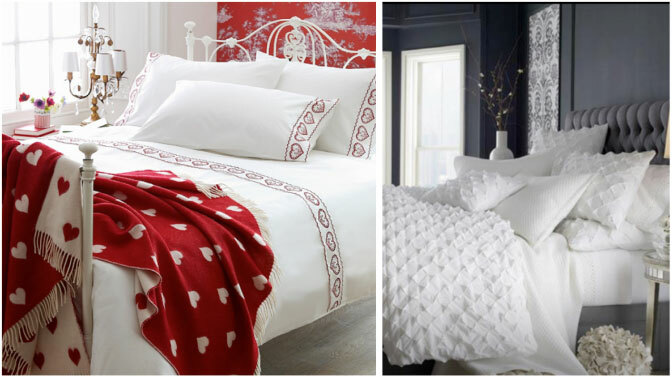 Choose quality bed linen and interesting textures to dress your bed. Don’t forget the other spaces in your home; think faux fur throws, shaggy rugs, velvet cushions, sleek glass or metal accessories. The magic is in the contrast creating the perfect balance. Nature spoils us with so much inspiration and beauty. A room can be transformed by a changing view, by choosing shutters and blinds for your windows and doors, you are able to maximize a sunset, garden view, seascape or night sky to create a perfect backdrop or romantic setting. Create romantic spaces inside and outside your home and be sure to make the most of the natural beauty around you. 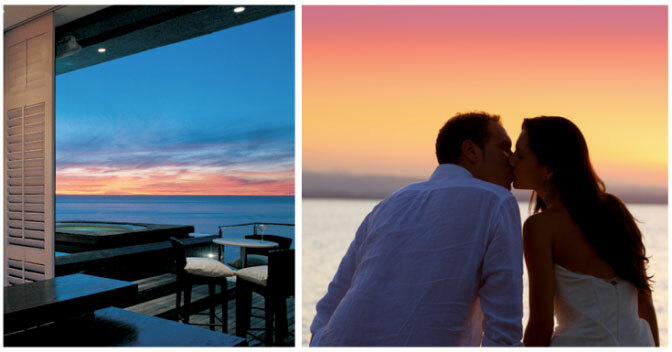 Scented candles, incense, fresh flowers and crisp clean air – how romantic! 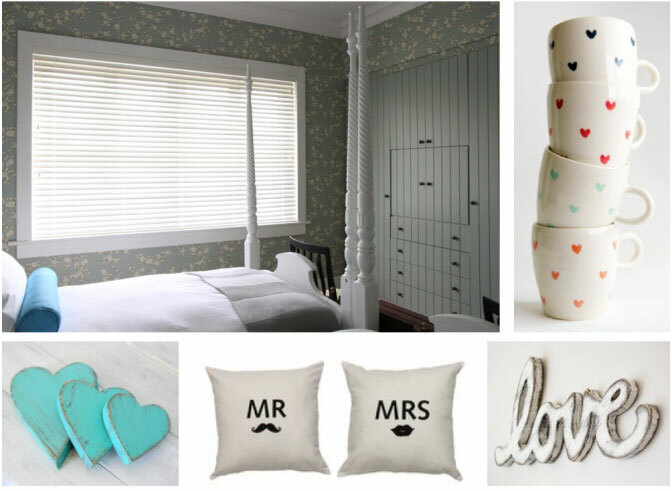 Don’t forget to incorporate decor accessories that tempt the sense of smell when you create your romantic space. So why not show your home some love this month and it will show you the love all year long! Gift it with a new accessory or finish to make it even more special than it is. 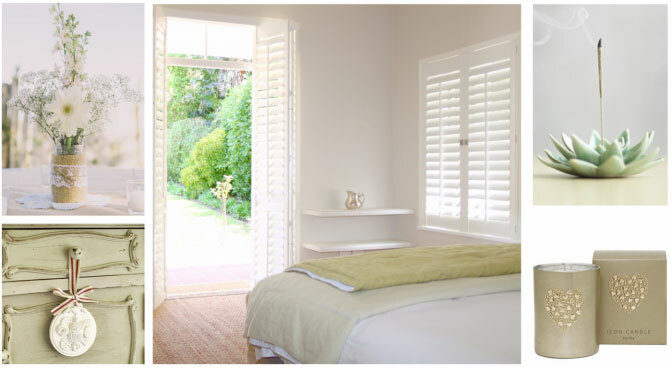 Blinds and shutters are great for adding style and value!